As the title of our firm Landscape Consultants implies, we commenced activities over 25 years ago, by providing advice and consultancy to clients. 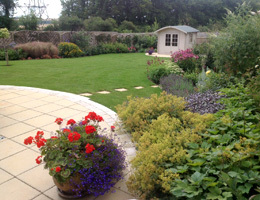 We are delighted to meet and offer advice to clients with private gardens large or small, or commercial sites. Terry Drew works for and with clients in bringing together various elements of a garden to create a combined effort of satisfaction. Some clients find the need for assistance in their gardens on a permanent or regular basis. We offer a service whereby an advertisement is placed in a local or national publication, using our office as a point of contact. Letters of applications are dealt with and references sought. If it is the clients wish, preliminary interviews are carried out and the client is presented with a shortlist of perhaps three people to interview, thus avoiding time consuming clerical and ancillary work. Some schemes demand plants of a certain type and size. We research our contacts, inspect their plants (if necessary) and make recommendations as to availability and cost. Upcher & Co are delighted to offer specialised advice on a wide range of horticultural and associated problems, from soil analysis and plant identification to boundary and screening recommendations. Our first consultancy meeting (without cost) allows us the opportunity to discover ideas and aspirations. Collectively we prepare a simple sketch and synopsis of possible requirements, which forms the basis for the way forward. 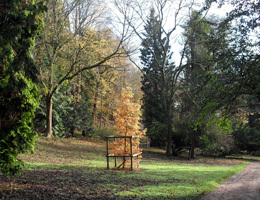 We have created and now oversee the maintenance of this restored arboretum near Marlow. 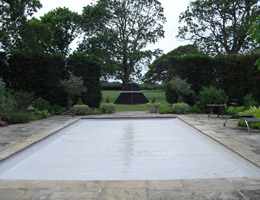 This garden was designed by us, but the work was carried out by E.Williams Landscapes. This is a new build garden and therefore created from a level turfed (and fenced) site. We still have an ongoing consultancy here. 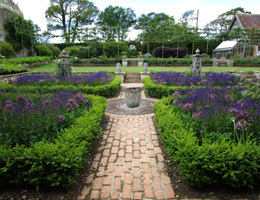 This Sunken Garden was herring bone drained before the landscaping elements were added. The plants were selected by our designer for their vibrancy using the clients colour pallet. The Swimming Pool Garden has been completely surrounded by recently transplanted mature Taxus, thus creating shelter and a wonderful micro climate for all to enjoy.